When it comes to vintage airlines and aircraft, anything Pan Am has pretty much been at the top of my “cool” list for as long as I can remember. Growing up in the 80’s, they were the pinnacle of what I considered to be a true international airline, with their huge fleet of (then) modern wide body aircraft, five star onboard service, and a really impressive global route network. This ultimately (foolishly?) led me to compare them to everyone else – never mind the fact that I was just a boy and I (nor anyone I knew) had ever once stepped foot on any Pan American aircraft. All I knew was that this was the airline that I saw all over TV and the movies, taking my heroes to destinations all over the world to fight crime and do amazing things. While the Boeing 747 probably seems the most “Pan Am” to me, I tend to like this livery on the DC-10 just as much. 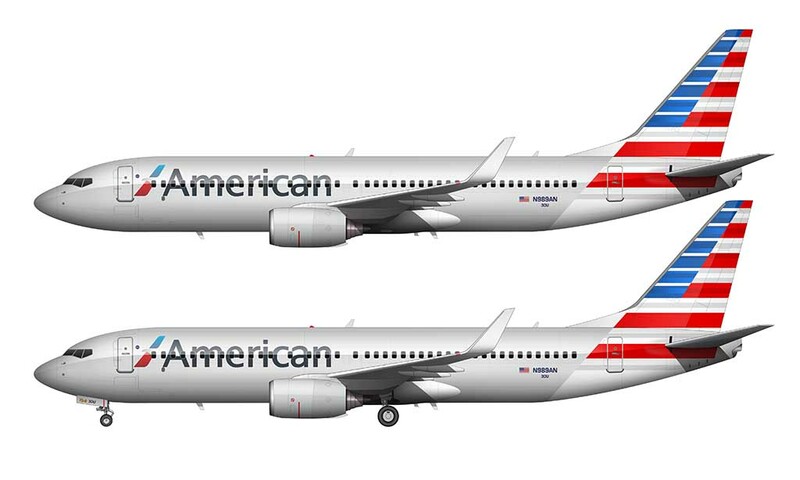 This combination just screams “1970s” to me, which speaking in airline terms, is actually a good thing. Yeah, that was a time when air travel was still considered luxurious and somewhat extravagant – and I’m totally bummed that I never got to experience any of it. Does anyone have a time machine I can borrow? 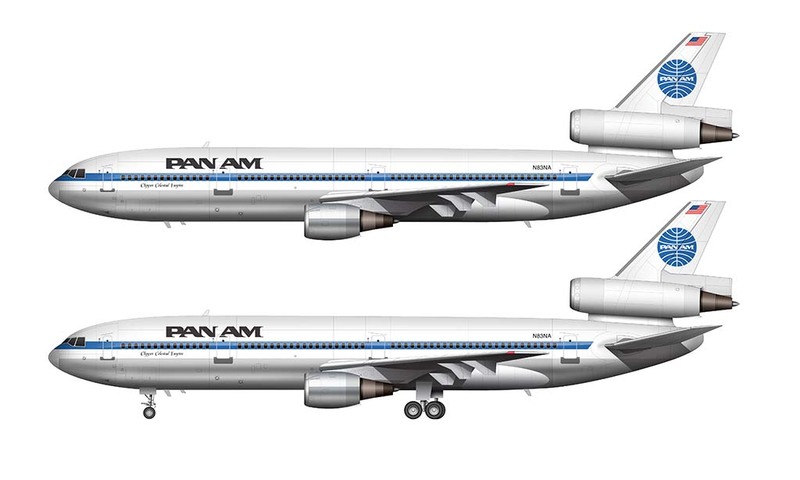 Pan Am later switched to different livery in the 1980’s which featured larger PAN AM titles on the forward section of the fuselage, while retaining the original globe logo. 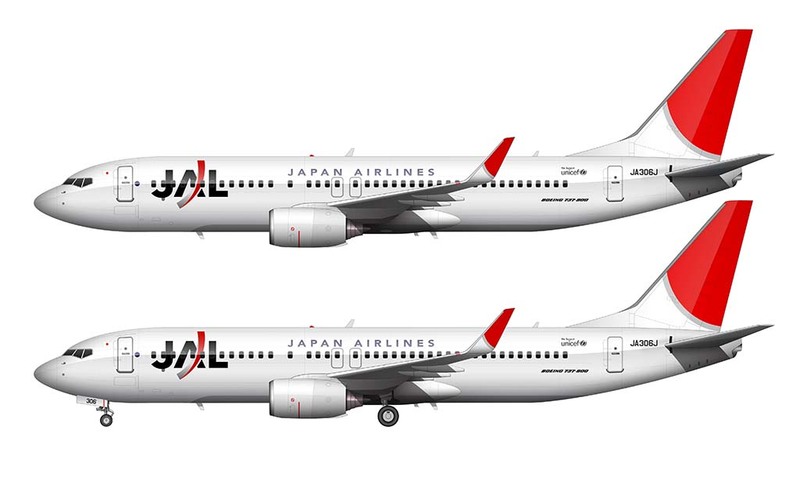 That was one of the first “billboard” liveries ever done in the airline industry, and while nice, I don’t think it had the class and subtlety of the version depicted here. Gotta love the classics.